Investec Cape Town Art Fair, running at the Cape Town International Convention Centre from 15 to 17 February, showcases a diversity of work that represents the forefront of contemporary art from Africa to the world. Exhibition of boundary breaking contemporary art is but one aspect of the range on offer at the art fair. Another is the celebration of current and future stars of the art world. This begins at the fair when two important prizes are awarded for extraordinary exhibition and artistic practice. The Tomorrows/Today Prize is supported by Fondazione Fiera Milano and the Zeitz Museum of Contemporary Art Africa (Zeitz MOCAA) and will be awarded to the most exciting artist presentation within the section. Tomorrows/Today is curated by Tumelo Mosaka and includes emerging and under-represented artists. The prize will include a solo exhibition at the museum, as well as a cash prize of R50 000. As part of its institutional aims, Fondazione Fiera Milano pursues cultural and economic growth through activities that engage with the promotion of art and knowledge. Fondazione Fiera Milano places particular focus on contemporary expressions of design and art. The winner of the Tomorrows/Today prize will be selected by a jury* from the ten solo presentations in the Tomorrows/Today section. The jury, led by Mosaka includes Renaud Proch, Director Independent Curators International of New York City, Brooke Minto, Director of Institutional Advancement at Zeitz MOCAA and associate professor at Michaelis School of Fine Art, Berni Searle. The prize therefore ushers in new possibilities for both the artist and collectors observing the development of singular careers in the contemporary art world. In 2012, Fondazione Fiera Milano established an annual fund for the purchase of one or more works of art, with the purpose of expanding its artistic holdings, now preserved in the “Palazzina degli Orafi”, its historical headquarters. Each year an international jury coordinated by the Chairman of Fondazione Fiera Milano selects the works to be acquired. Choice is focused on works by young artists who express themselves through experimental languages. The initiative to acquire works of art at miart the International Modern and Contemporary Art fair (a brand that is the property of the Fiera Milano SpA Group) – is also made with the intention of contributing to and supporting the fair, which is a major attraction for Milan. Since last year, Fondazione Fiera Milano also supports international art fairs of Fiera Milano group, such as Investec Cape Town Art Fair. Fondazione Fiera confirms for this year the intention to purchase one or more works to enrich its own collection. They will sponsor the South African art exhibition, as well. Last year’s winner was conceptual artist Usha Seejarim whose practice is based upon her interest in the representation of gender and women, and a fascination with the ordinary through domestic and found objects. Seejarim also has an interest in arts education and community based public art projects. She has created exhibitions in local institutions including Wits Art Museum, Durban Art Gallery and Johannesburg Art Gallery, and produced numerous public art projects throughout South Africa. The Investec Cape Town Art Fair looks forward to the announcement of the first recipient of the Africa First Art Prize (AFAP) during the fair. The AFAP winner will be selected by an esteemed jury** headed by Serge Tiroche. The jury includes Norval Foundation’s Chief Curator Owen Martin, Chief Auctioneer and Swiss Collector Simon de Pury, Paris-based Independent Curator and Consultant Marie-Ann Yemsi and Nigerian visual and performance artist Wura-Natasha Ogunji. The winner will be announced at a dedicated event during the fair. The winner will be invited to a two-month all-inclusive residency in Israel and the works produced will be shipped to Cape Town for the following year’s fair, where they will be exhibited at the fair’s VIP Lounge. Africa First was founded by Tiroche in 2018 as a collection and a platform to support and promote Contemporary Art from the continent. Following seven years running the Tiroche DeLeon Collection, he decided to focus his private collecting and residency program on emerging and mid-career artists from Africa and the African diaspora. The Africa First Collection will try to play a crucial role in promoting and disseminating African Contemporary Art by actively promoting the collection and the individual artists through a widespread lending program, sponsored exhibitions, a fine-art residency program, publications, digital presence and institutional collaborations around the world. The AFAP will be a cornerstone activity of Africa First. Each participating gallery at this year’s Fair has been invited to nominate one artist. For full details about the prize and application process: https://www.africanartfirst.com/artist-residency. Renaud Proch is Independent Curators International (ICI)’s Executive Director and prior to this, he was the Senior Director at the Project Gallery in New York, as well as the Director of MC, in Los Angeles. Originally from Switzerland, Proch studied in London, and moved to the West Coast U.S. in 2001. He has since curated several shows including the co-curated retrospective of South African artist Tracey Rose for the Johannesburg Art Gallery, South Africa, and the Umea Bildmuseet, Sweden, which also traveled to the Nikolaj Kunsthal, in Copenhagen, Denmark. Brooke Minto has served as an arts administrator, fundraiser, and educator, working with institutions across the U.S. and abroad including the Miami Art Museum, New Orleans Museum of Art and New Museum in New York. A graduate of Dartmouth College, Minto has earned a Master’s degree from Columbia University, New York, focused on Modern Art and Critical Studies. She began her career as Curatorial Assistant at the Solomon R. Guggenheim Museum and is presently the Director of Institutional Advancement at Zeitz MOCAA. Berni Searle is one of South Africa’s renowned artists working with photography, video, and film exploring the legacy of colonialism and its connection to history and the memory of place. 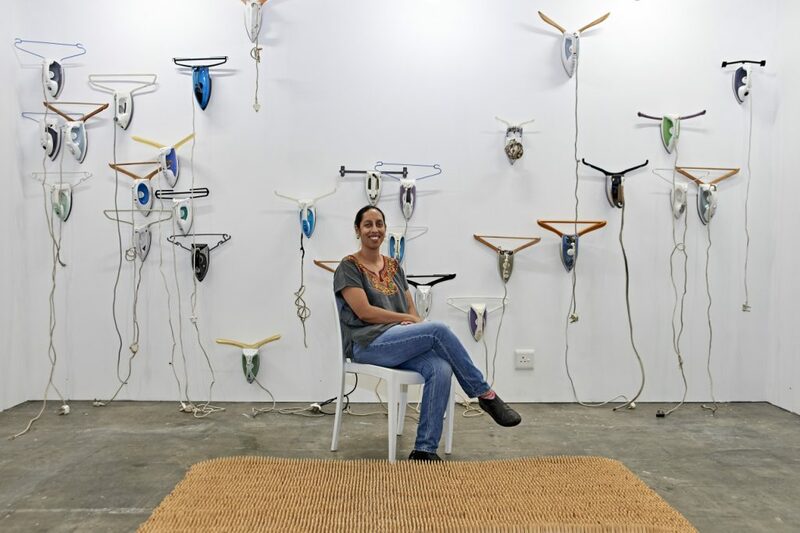 She has exhibited extensively locally and internationally and is an Associate Professor at the Michaelis School of Fine Art at the University Of Cape Town. Simon de Pury is one of the leading figures in the art market. He is renowned for his deep and longstanding knowledge of the global marketplace and for his legendary performance on the auction podium. At the beginning of 2013 Simon founded ‘de Pury de Pury’ together with his wife Michaela – a company specializing in building collections, consulting established collectors and institutions together, conceiving and curating exhibitions and in the branding of artistic, cultural and real estate projects. In 2015, together with Arnaud Massenet, co-founder of Net-A-Porter, they founded de-Pury.com, an online platform for contemporary culture and auctions of contemporary art. In 2016 Simon de Pury published ‘The Auctioneer’ with his memoirs. From 2000 to 2012 he was Chairman and Chief Auctioneer of Phillips de Pury & Company. Earlier in his career he was Chairman Europe and Chief Auctioneer Worldwide at Sotheby’s. He was also curator of the Thyssen–Bornemisza Collection, the world’s largest private collection at the time. . In 2010, he was the subject of an hour-long documentary on the BBC, titled ‘The Man with the Golden Gavel’. In 2010 and 2011 he was the mentor in Bravo’s reality TV show ‘Work of Art: The Next Great Artist’. In 2018 he was a key figure in the award winning documentary ‘The Price of Everything’. He is an active charity auctioneer, and over the years has raised hundreds of millions of dollars for a number of charities and cultural institutions. Marie-Ann Yemsi is an independent art consultant and curator, born in Germany to German and Cameroonian parents. In 2005, she founded her own agency, Agent Créatif(s), which has developed a renowned expertise in cultural production and art consulting with a focus on emerging artists and artistic scenes in Africa and its Diasporas. She has been the curator at several international exhibitions, including « African Odysseys » at the Brass Cultural Center (Brussels) in 2015, “The Days that Comes” at the Galerie des Galeries (Paris) in 2017 and A Silent Lines, Lives Here at Palais de Tokyo (Paris) in 2018. She was the Artistic Director of Afrotopia, the 11th edition of the Rencontres de Bamako, African Biennale of Photography in Mali (Dec 2017 – Jan 2018). Serge Tiroche comes from a family with a long tradition in the art market – as collectors, gallery owners, dealers and auction house founders. He has been collecting contemporary art for over 30 years. He obtained an MBA from INSEAD in 1997 and spent 10 years as a Managing Director of Citi Private Bank. In 2007 he left Citi and set out to combine his passions for art collecting and investments. His mission has since been to enable a broader community to participate in the art world. He founded ST-ART, Israel’s first art incubator project and then went on to invest in Artist Pension Trust and serve as its global chairman until 2010. In 2011 he co-founded Art Vantage PCC Limited, an Art Fund focused on collecting contemporary art from developing markets via the Tiroche DeLeon Collection. His most recent venture is Africa First, a private collection he founded in 2017 focused on contemporary art from across Africa and the diaspora, which includes a unique residency program in Israel, where he is from. Owen Martin (born Canada, 1985) is currently Chief Curator at the Norval Foundation and serves as Trustee of the Gerard Sekoto Foundation. From 2015 to 2017 he was Registrar and Curator of Moving Image at Zeitz MOCAA (Cape Town, South Africa). Prior to that, he worked with the British Council (London, UK), Zeitz Collection (Segera, Kenya and Cape Town, South Africa), PUMA.Creative (Herzogenaurach, Germany), and the H&R Block Artspace (Kansas City, USA). Martin holds a Master of Arts in Art History from McGill University (Montreal, Canada) and a Bachelor of Fine Arts in both Art History and Painting from the Kansas City Art Institute (Kansas City, USA). Wura-Natasha Ogunji is a visual artist and performer. Her works include drawings, videos and public performances. Her work is deeply inspired by the daily interactions and frequencies that occur in the city of Lagos, Nigeria, from the epic to the intimate. Ogunji’s performances explore the presence of women in public space; these often include investigations of labor, leisure, freedom and frivolity. She is a featured Artist-Curator for the upcoming 33 rd São Paulo Bienal and most recently performed at Cape Town Art Fair. Selected exhibitions include: Lagos Biennial; Kochi-Muziris Biennale; 1:54, London & New York; Seattle Art Museum; Brooklyn Art Museum; and Louisiana Museum of Modern Art, Denmark. Ogunji is a recipient of the prestigious Guggenheim Foundation Fellowship and has received grants from The Pollock-Krasner Foundation; The Dallas Museum of Art; and the Idea Fund. She has a BA from Stanford University [1992, Anthropology] and an MFA from San Jose State University [1998, Photography].